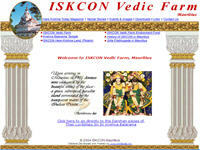 The official website of the center of International Society for Krishna Consciousness in Bon Accueil, Mauritius. Sri Sri Krishna Balaram preside in ISKCON Vedic Farm. Category Farm Communities, Mauritius June 11, 2012 by ISKCON Desire Tree.